Tulips and lily of the valley wallpaper is background on this birthday card. 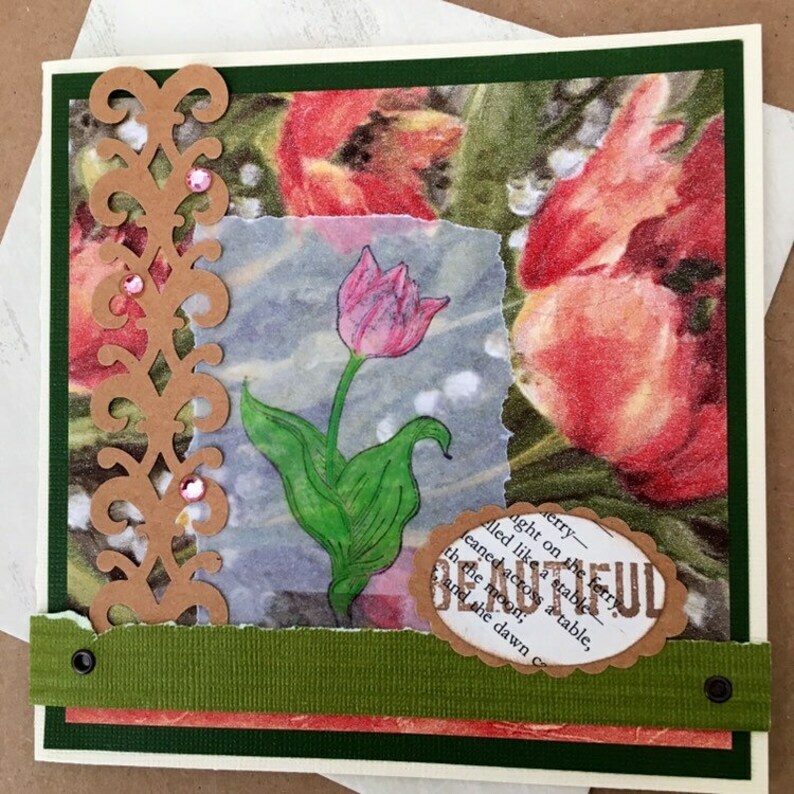 Hand stamped and color pencilled tulip, with kraft border piece and pink jewel embellishments. Happy Birthday...inside message. Handmade wallpaper envelope included.